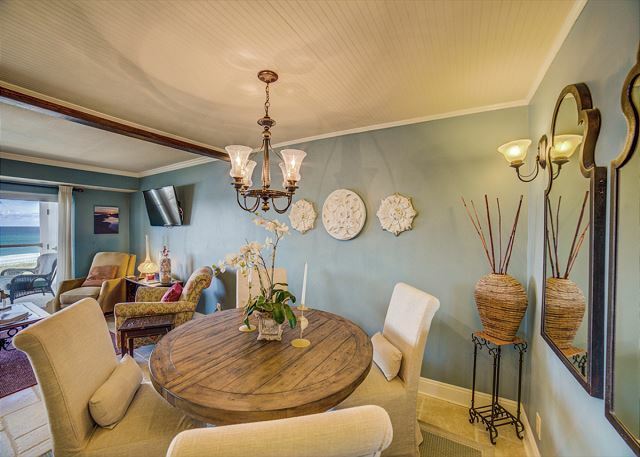 New owners have updated dining and living area pictures to come! 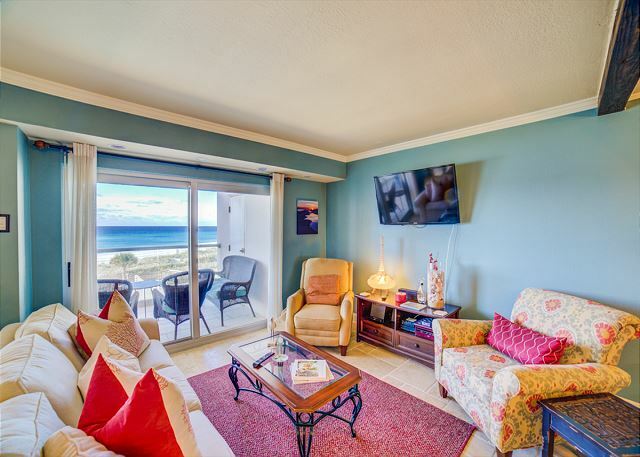 Regency Towers unit 406E offers cozy yet upscale vacationing. 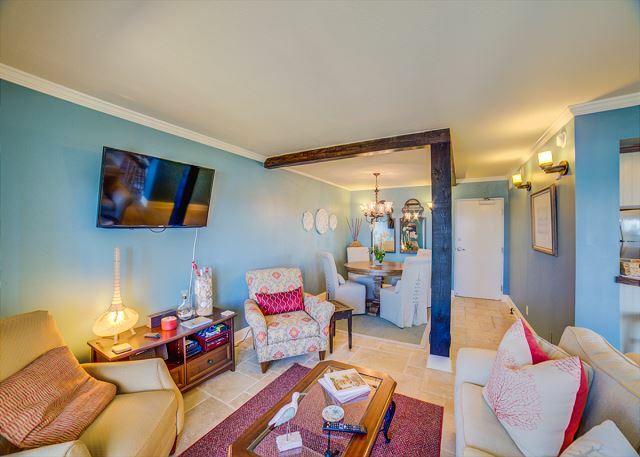 This recently updated condo offers upscale furnishings including travertine flooring, granite countertops, and flat screen televisions. 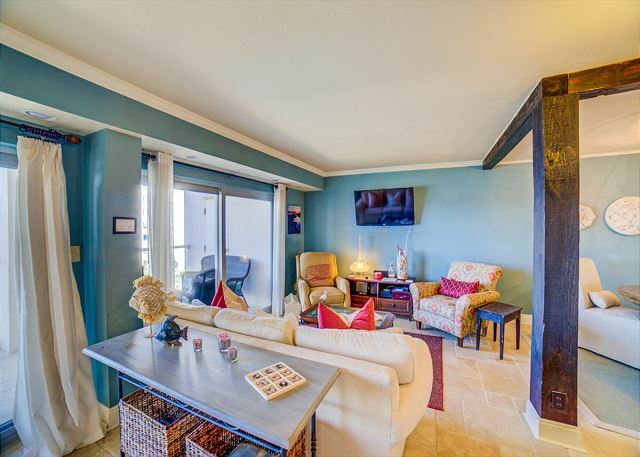 Your living space is easily extended via the private balcony with access off the living area. 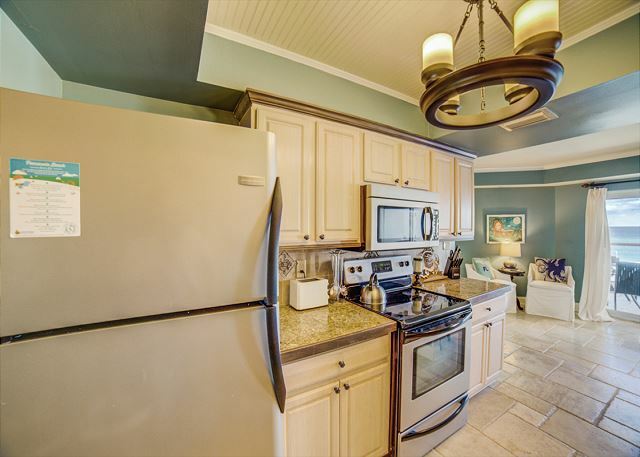 The wonderful kitchen has farm house style cabinetry, stainless steel appliances, granite countertops and Keurig coffeemaker. 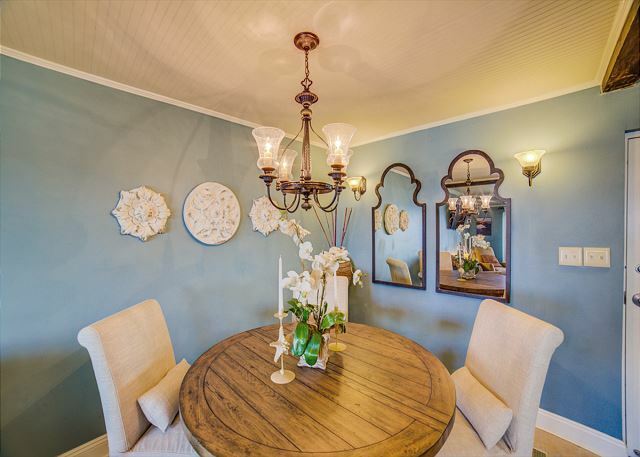 The spacious dining area offers seating for up to six and additional breakfast bar seating. 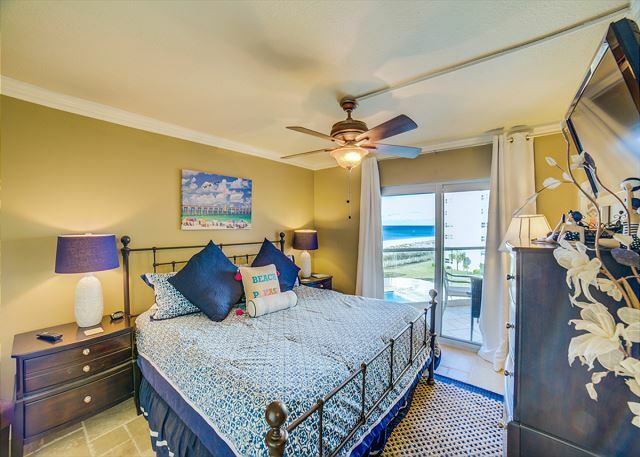 The master bedroom extends the upscale experience with a wrought iron style king bed, and private master bath and an added bonus of balcony access via the master bedroom. The unit features an added amenity of wireless internet. Washer/dryer in condo. 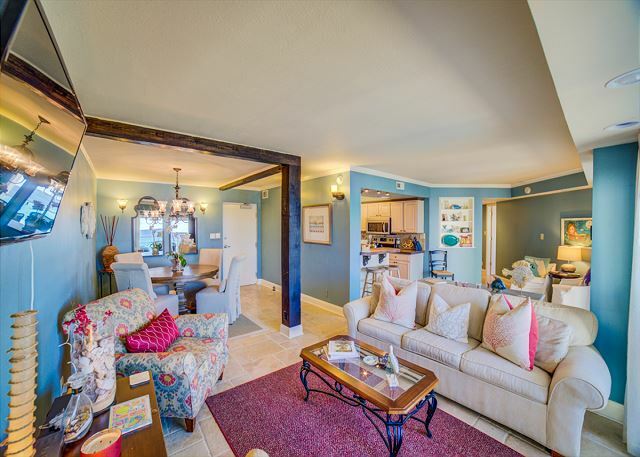 Property amenities include onsite outdoor pool, elevator, and tennis court. 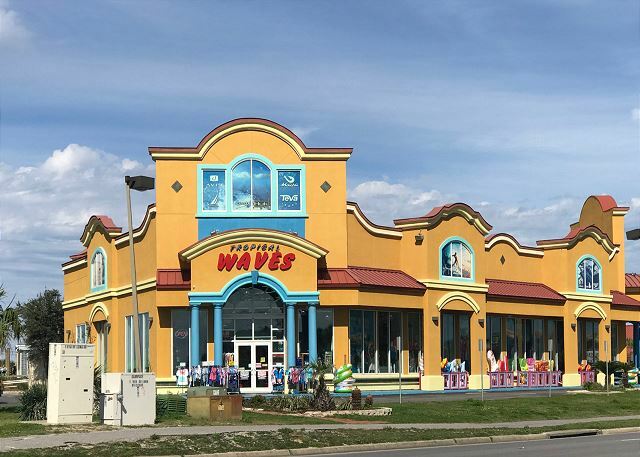 Shopping, dining, and entertainment are easily accessible. This condo was perfect for my family. Single mom with 3 kids on a budget and it had plenty of space for all 4 of us. We even had friends over for dinner one night and were able to comfortably cook for and entertain. The view is amazing. We spent a lot of time on the balcony taking full advantage of the outdoor living space. The condo was clean, welcoming and comfortable. The location was great with beach access directly in front of the building. We're so glad you had a great time at Regency Towers 406 East. We hope you and your family come back to see us again very soon! Thank you for your review. We're so glad to hear that you enjoyed staying at the Regency Towers 406E and we look forward to your return! My husband and I really enjoyed our stay at Regency Towers 406E. It was very nicely decorated and very clean. Our view was just above the pool and then beyond to the ocean. We definitely would recommend this place to others. Our view was breathtaking.Roomy and quiet.Loved our morning out on the balcony every morning.Highly recommenended. It was just me and my husband but the bathroom was too small and we really needed two bathrooms. Shower was small.We could not open the Sliding doors in living room. Too hard to pull on. My husband is disable and the furniture was old and very uncomfortable. The most comfortable place to sit was on the balcony. I would not stay in 406E again. It may be ok for some people but was too small for us and very uncomfortable. Condo was very nice and perfect location. 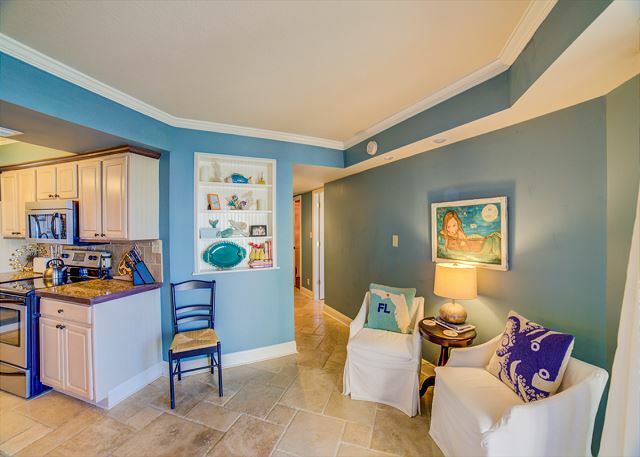 Have stayed at Regency Towers before and would recommend a condo there to anyone going to the beach. This room has a great view of the Gulf. We have stayed in this room before. Last year I noticed a slight urine smell when you walk in and this year it was SO strong! I'm wondering if they need to have the sofa sleeper (which we never use) replaced? Or, have all the fabric furniture cleaned? I was ale to obtain an affordable rental "at the last minute" and come down 2 days later. Easy check in, easy check out Friendly but professional personnel. The decor of the unit was very nice. The location was just past the busy area of the beach which made for a very relaxing stay. There are lots of restaurants in the area but we chose to drive into Pensacola for local places. The only downside to the stay was the mattress. While the long size bed was awesome, it was very uncomfortable and should be replaced. The bed springs creeked with every move as well. We had a great time at the beach, as usual. The rental was very clean. The morning after we arrived we discovered the dishwasher had standing water in it. I called PBH right away, but no one came all week, so I called Friday to make sure they still knew about it. I hand washed dishes, which was no problem.